In the Spring of 2017, activist, journalist and hip-hop artist Marcel Cartier was given exclusive access to the structures set up in the predominately Kurdish areas in northern Syria. Over the course of more than a month, Cartier travelled across the terrain known as Rojava, experiencing the radical grassroots revolution that is sweeping the region. He spoke with commanders of the People's Protection Units (YPG), visited women's organisations, saw the cooperatives and communes in action that have transformed the concept of democracy, and found his understanding of revolution challenged and reinvigorated. 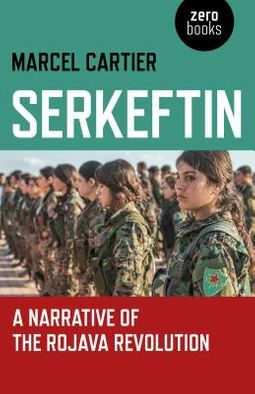 Unique in its access, emotion and humanity, Serkeftin: A Narrative of the Rojava Revolution, is a beautiful account of a contradictory and complex process that is fundamentally changing society in the midst of the 21st century's most brutal civil war. Meaning `victory', the Kurdish word `serkeftin' captures the spirit of optimism in the catastrophe that has engulfed this beautiful country since 2011 and has simultaneously brought the possibility of freedom ever closer.